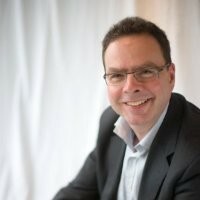 Richard has been a senior executive focused on change management within large organisations. He's moved from senior Exec roles in places like Capgemini, BAT, Ford, British Airways, but got to a point where he felt he wanted to 'give back'. He is now the strategic change manager at The Princes Trust. When we spoke to him, it was clear his orientation to help others combined with his impressive career means talking to him about a change management role in a large corporate/charity is going to be valuable. I started in client services & marketing before examining these business functions from a strategic level. Managing consultancy work at Cap Gemini lead to senior strategy roles for large corporates. I am not the strategic change manager at the Princes Trust. In addition to my formal role there, I also mentor disadvantaged young people. I enjoy the feeling of giving back and making a change. The work we do at the Trust is valuable and important - it is good being part of something which really helps to change people's lives. Mentoring recognition from the Princes trust.